Dillian Whyte has called on Dereck Chisora to swiftly agree terms on a rematch so he can "bash his head in". 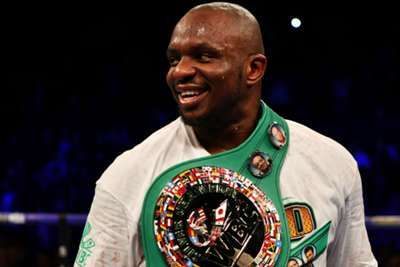 Heavyweight Whyte defeated Chisora by split decision in a 2016 bout in Manchester and he is keen to do it all over again at London's O2 Arena before the end of the year. Yet negotiations with Chisora - who is now managed by former fighter David Haye - are proving problematic, according to Whyte, who says promoter Eddie Hearn will soon have to switch to alternative options for a December bout. "I think it needs to be done this week if it's going to be [Chisora]," Whyte told Sky Sports. "There are other options on the table we are looking at. Eddie is speaking to a few people. "Chisora is a fight the fans want to see and it's a fight I want to have. I want to bash his head in and just get the stoppage that I should have taken care of the first time around. Let's see. "There is a massive danger he will miss out on a career-high pay day. At the minute, as the deal stands, it's getting worse. "I've got options, he hasn't really got options. The Anthony Joshua fight is there for me, there are other fights that are there for me, and I'm just 30, so I've got so many options." Whyte was quick to suggest other names he would be willing to face instead of his domestic rival including Luis Ortiz, who he branded a "desperate old man". "[Dominic] Breazeale, Luis Ortiz or Adam Kownacki, [Jarrell] Miller, all of those guys," he said. "Those are the kind of guys I would like to fight, so let's see what happens. "Eddie is actively in talks with some of them as well. "Ortiz is silly. Ortiz is just a desperate old man. The grandad needs some pension money, that's all."